... kind of like in Lost in Translation. 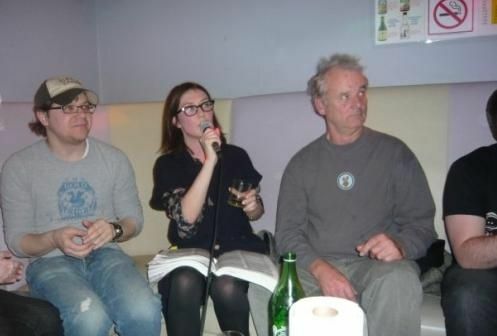 One evening after a golf tournament in St. Andrews, Bill Murray decides to go out and explore the city. He's out for drinks with fellow golfers when he meets young a beautiful blonde Nordic woman named Lykke Stavnef, who is there with her friend Marie Bergene - and who, naturally, invites him to a party. When they show up, no one can believe that 22-year-old Stavnef has brought him to a house party. She's concerned that there are not enough clean dishes there, so Bill Murray actually decides to start washing dishes. Everyone is amused when he cleans some dishes so that people can drink, but even more charmed when he happily accepts drinking vodka out of a coffee mug. Before he leaves, he finishes cleaning the feet-high dishes pile left by the college students, then heads back to his hotel. Well, it was reported by The Telegraph, and there were also over a dozen eyewitnesses. The 2018 documentary The Bill Murray Stories: Life Lessons Learned from a Mythical Man explores this story further. 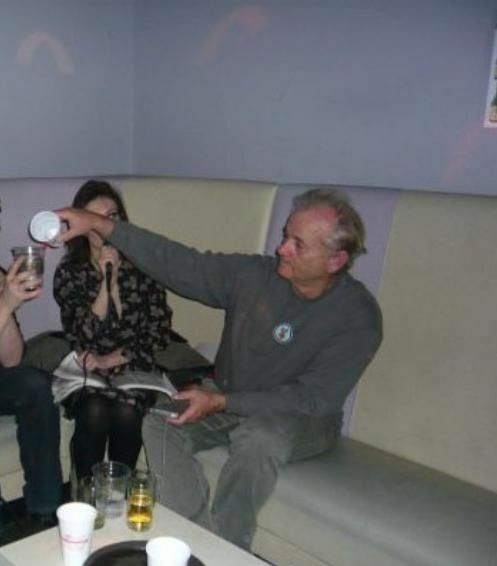 New Rule: if you meet Bill Murray somewhere and he seems relaxed and in a good mood, and it's late enough, invite him to a party. 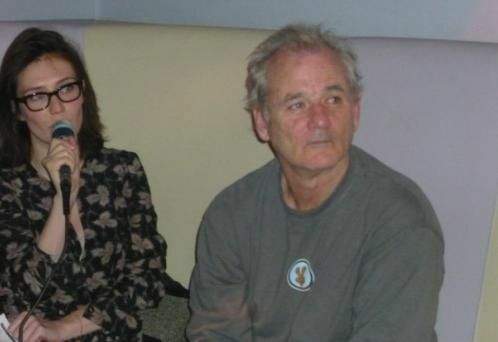 Like most celebrities, Bill Murray isn't a fan of being bothered for his autograph. Unlike most celebrities, it's because he finds it too impersonal. 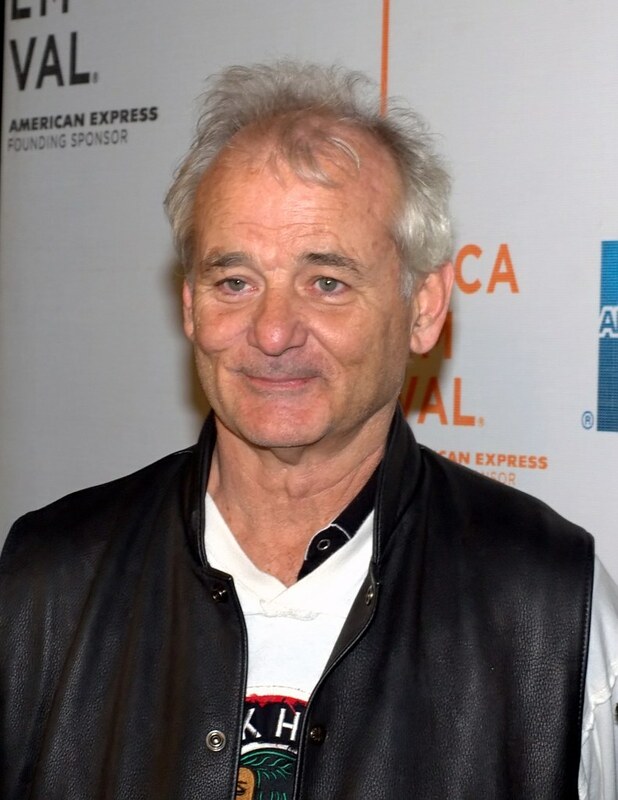 One day, Bill Murray is doing a shoot for a guy, and that guy's friend asks him for an autograph. Instead of just writing his name on a piece of paper, Bill gives them something better. He films a slow motion walk down the hall with all the guys à la Wes Anderson. 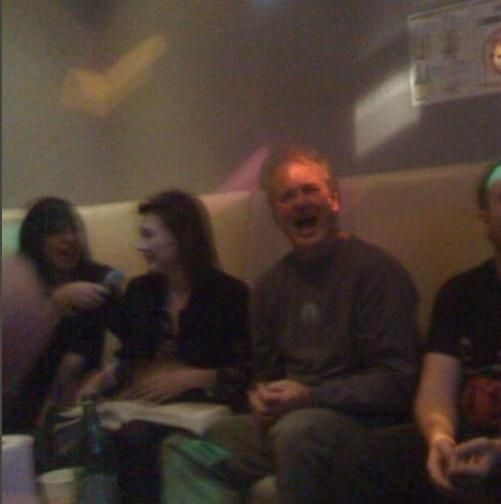 A group of friends go out to have a few drinks at a bar called Karaoke One 7 in New York City. Mike, the guy who reported this story, notices a couple of women who have just walked in with a guy that looks just like Bill Murray... because he is Bill Murray. 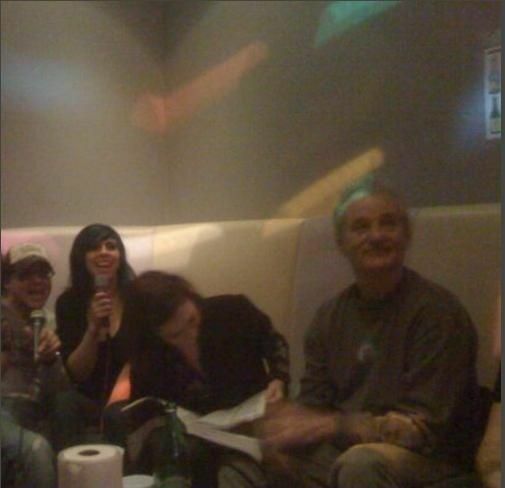 After they do the good ol' "celebrity confirmation," the group proceeds to invite Bill Murray into their karaoke room. 15 minutes later, Bill Murray knocks on their door. Bill Murray and the girl he's with - notably from Amsterdam - sing a bunch of French songs and buy everyone these weird green drinks made with Chartreuse. Then Murray himself sings an Elvis song with Mike - and the group, of course, takes a bunch of photos. The photos are pretty irrefutable, but the verdict is still vague. There have been a few discrepancies, first being exactly when this incident took place. It was also first reported that he showed up at Karaoke One with a group of women, then later corrected that it was one Dutch woman. The details aren't 100% clear; however, Murray is known for randomly attending strangers' parties, so there's a good chance this one is true. 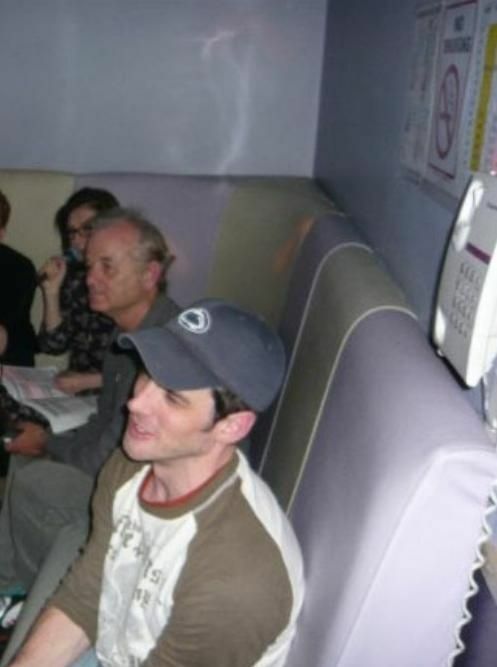 And it is probably the realization of every Bill Murray fan's biggest dream. Marvin Larry Reynolds, of Jedburg, South Carolina, invited Murray to his 64th birthday party in September 2014. 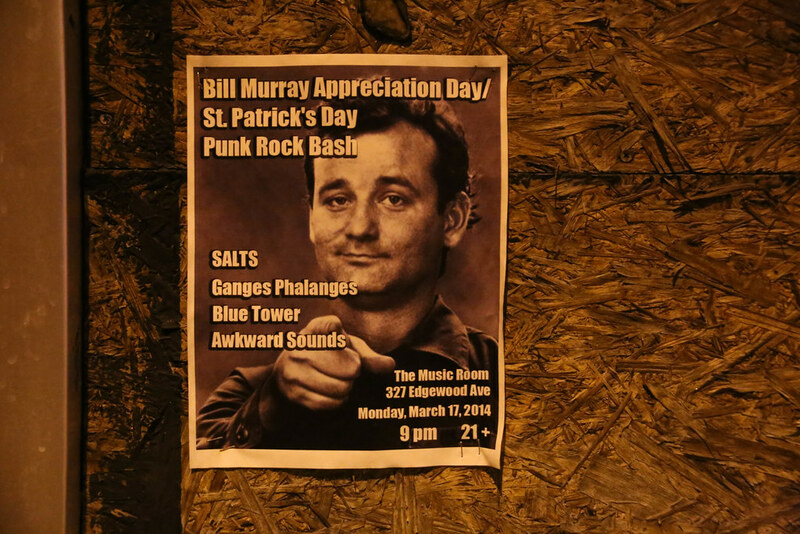 Of course, Murray showed up. But he didn't just sit quietly in the corner. Chef Brett McKee, a friend of Murray's, was catering the party and blessed the internet with some fantastic pictures from the party, and even video of Murray and other attendees dancing to classic tracks like "Turn Down For What." 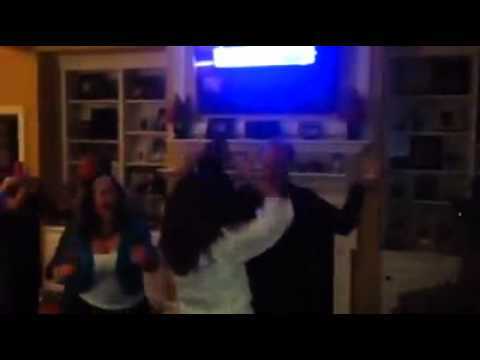 This video may incite jealousy in the hearts of all those forlorn on their birthdays.